Take your iPhone videos to the next level with Filmora. Save the edited video to fit to mobile devices. 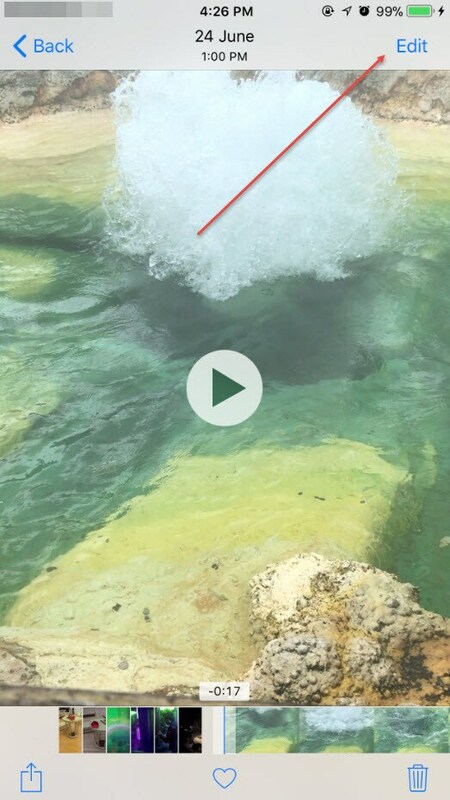 Easier to create 1:1 square ratio videos for Instagram. Apple products have always been known for how well they handle multimedia projects. This is one of the reasons that their products always have an added emphasis on having the best phones available on their mobile technology. These photos could then be moved onto your computer and edited as you want, but what if there were ways to do your video editing directly on your iPhone X/8/7 that you took them on? Having access to these applications can make your mobile device into an easy one stop location in order to edit and publish your videos without having to worry about additional steps that are needed to transfer them to your computer. There are a couple of different ways that you can go about this process. You can cut the videos on your iPhone x/9/7 with its built-in tools or you can opt for a third-party application. This is a personal preference that will depend on exactly what you want to do with regards to your photo editing. To start with, let's discuss some ways to do your video editing through the use of the built-in capabilities of your iPhone. You will find this feature in the built-in Photos app, which may confuse you since you are editing videos and not pictures. In order to edit your video clip, you will need to either go to the Camera app or the Photos app. From there, you will select the video that you are looking to edit. 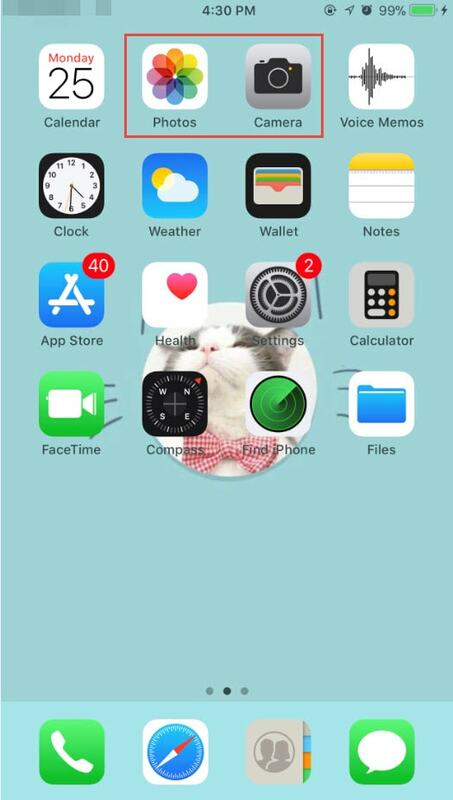 You will then tap on the screen when your video appears, which will make your options buttons (sharing, editing, and playback) appear on the screen. Choose "Edit" on the top right corner of the interface. Use the handles that appear to adjust the part of the video that you want to shorten. After you have completed this, you can press the "Done" button. There will be 3 options for you to choose: "Trim Original", "Save as New Clip" and "Cancel". 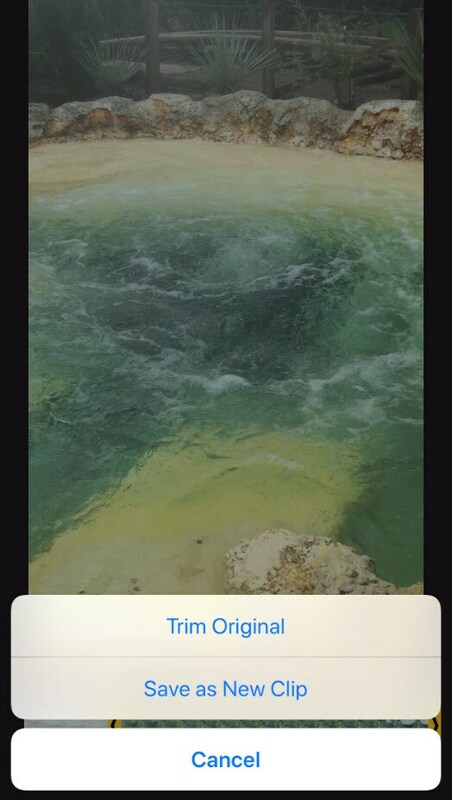 You can either trim the entire video down to size ("Trim Orginal") or you are able to split the trimmed portion of the video out and create another video clip ("Save as New Clip"). This latter option will preserve the untrimmed original video. Maybe you want to do a bit more with your video than the basic Photos app allows users to. For this, Apple has created the iMovie app which is very similar to the desktop application that you can find on Mac computers. This particular application can do most of what its desktop application can do, however there are some limitations to its capabilities. A benefit is that through this app, you can easily transfer your Mac to do any further edits that you may want to do. FilmoraGo for iOS is a perfect easy-to-use app for those who may not be as technologically advanced as others. That is why this is actually a very popular choice. There are no real video editing skills that are necessary to use this application. You are able to alter the video and match it to songs that are preloaded into the application. This is all available through their free app. The pc version offers a lot more advanced editing features as well as trendy visual/sound effects for you to apply. YouTube Capture is a simple to use app that is very basic. You can do some very simple editing like trimming videos as well as color stabilization and color correction. You can also add a soundtrack or some background music. After you have completed the editing process, you can upload it directly to YouTube. If you want an application that has more professional video editing capabilities, Splice is a better option for you. This is an easy to use app that actually allows you the ability to mix and match a variety of different types of media to really create something fantastic. This includes pictures, videos and music. There are in-app purchases with this particular app, which gives users the ability to add some extra effects and transitions into your video. How to edit video with video templates? Thanks for the guidance, very helpful ! I like www.coolutils.com/Video-for-iPad for working with video files on my iPad, I find it rather helpful, fast and powerful. It is a well known fact, that tablets demand special movie format to optimize their work.